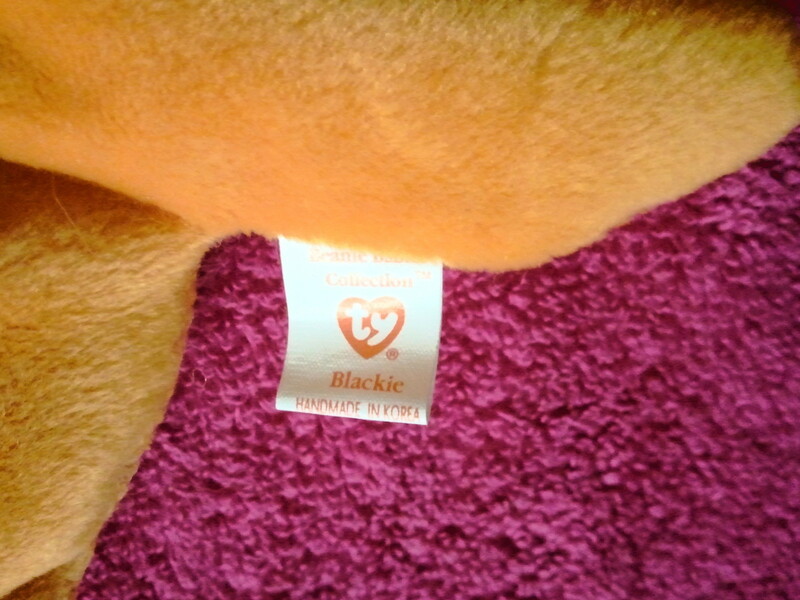 The big change for 3rd Generation Beanie Babies Tush Tags were that they now included the name of the Beanie on the bottom of the tag under the heart. 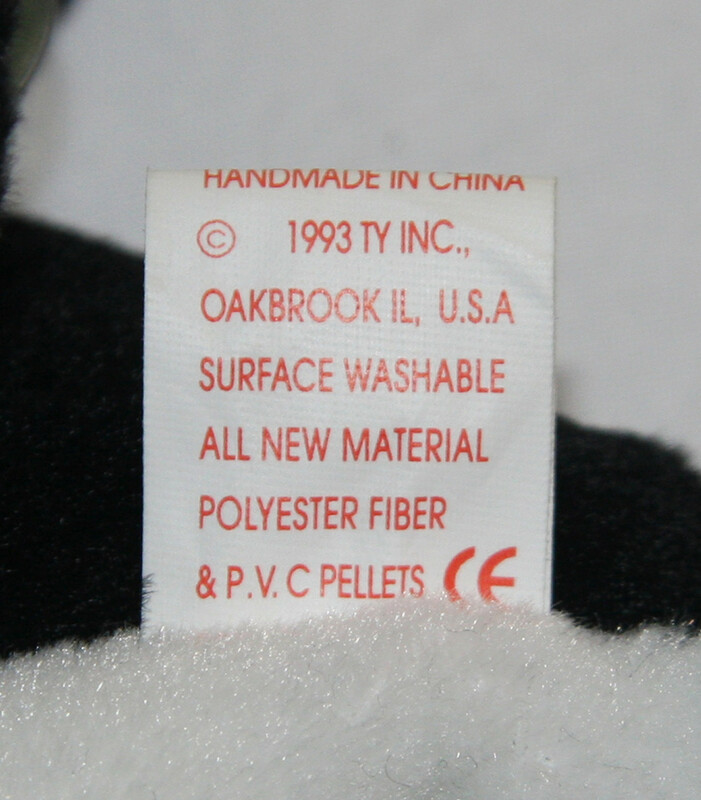 This helped collectors identify their Beanie even if it was missing the Hang Tag. The new 3rd Generation Tush Tags also have the phrase: The Beanie Babies Collection™ at the very top of the tag. You’ll notice on the Libearty The Bear that some of the Tush Tags will have Beanie misspelled as “Beanine”. You’ll also notice that the ™ is over the ‘Babies’ where on normal 3rd Generation Tush Tags the ™ is next to the word ‘Collection’. 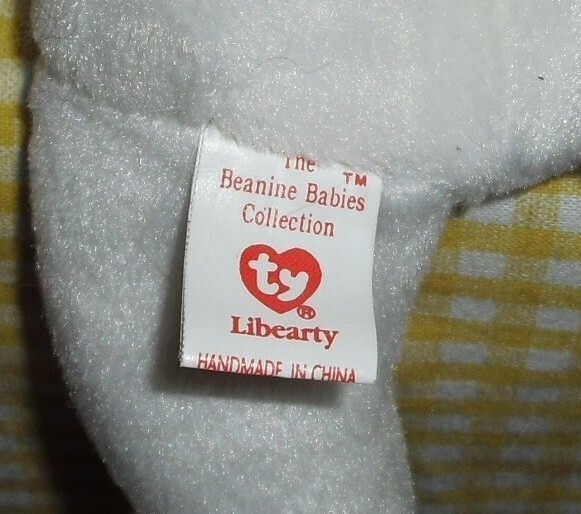 Peggy Gallagher, a well known Beanie Baby authentication expert, theorizes that about half of the Libearty the Bear’s contain this misspelling on the 3rd Gen Tush Tag. The value of the Libearty Bears with the error tag is not very much, roughly $10-20. It might be difficult to see, but on this Goldie The Fish Beanie is the Tush Tag for Blackie the Bear. You will see this type of mistake on some Beanie Babies. Does it impact the value? Sure, some error tag Beanies can command a premium. The ones with error Tush Tags tend to sell for more as one could just attach their own Hang Tag to any Beanie Baby and theoretically call it an error. 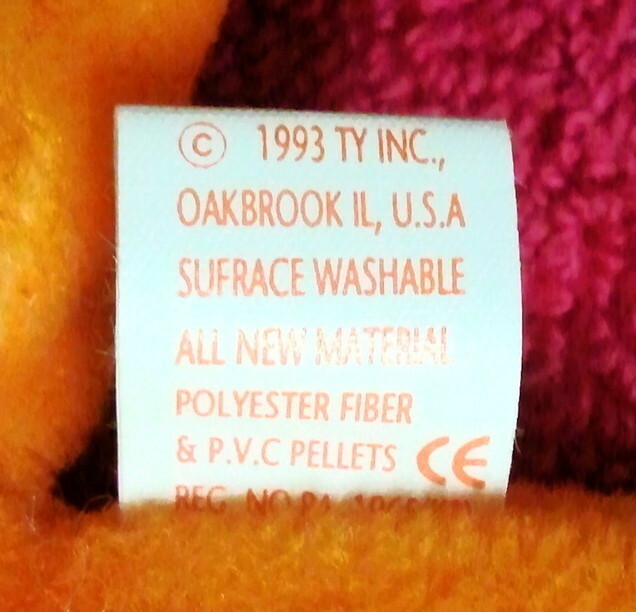 Some 3rd Generation Tush Tag Beanie Babies, specifically Blackie The Bear, will have the word “Surface” misspelled as “Sufrace” on the back of the TT. With Blackie, the error in spelling doesn’t impact the price very much, they sell for less than $20. 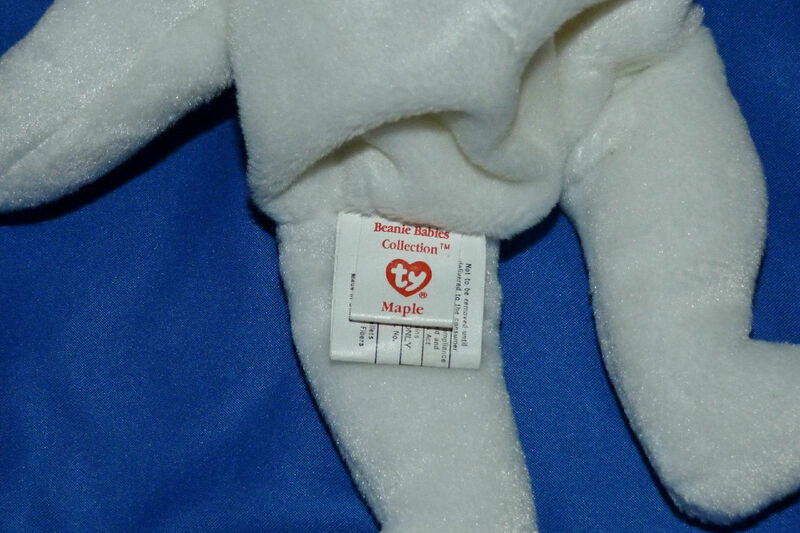 Beanie Babies made in Canada will have the extra Canadian Tush Tag attached. 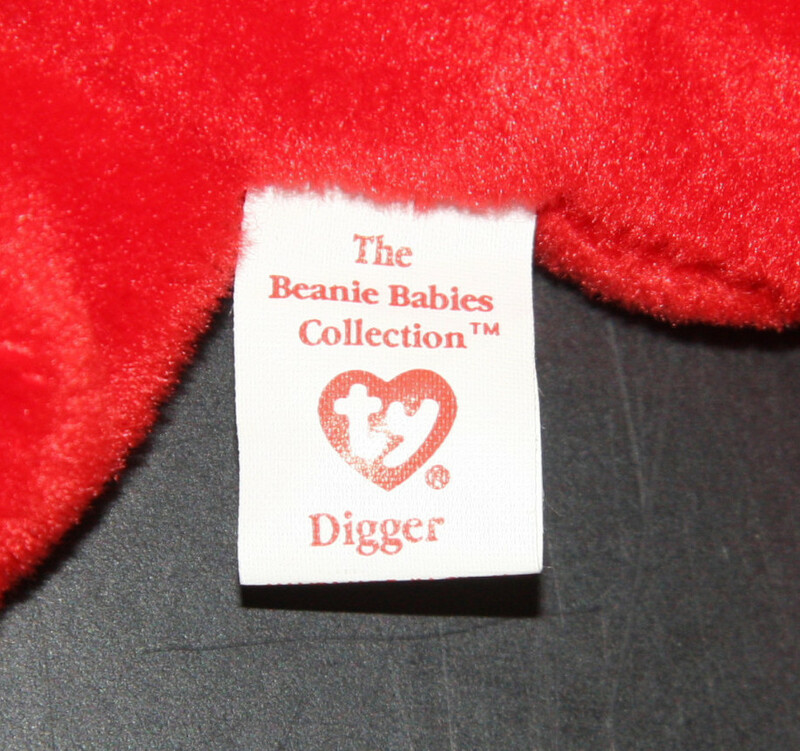 The big change for 3rd Generation Beanie Babies Tush Tags were that they now included the name of the Beanie on the bottom of the tag under the heart. This helped collectors identify their Beanie even if it was missing the Hang Tag. The new 3rd Generation Tush Tags also have the phrase: The Beanie Babies Collection™ at the very top of the tag.